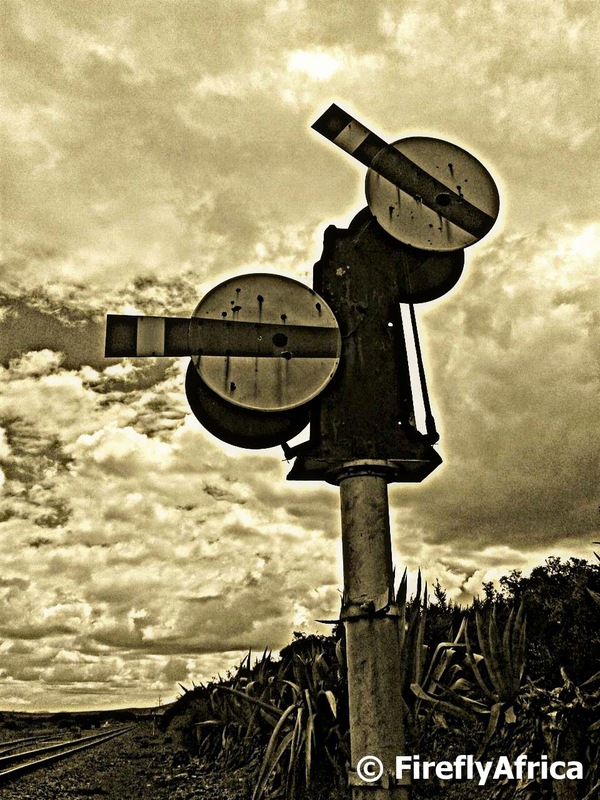 This railway signal at Cockscomb Station on the R75 to Graaff-Reinet really tickled my fancy for some reason. Railway Stations used to be quite significant with station masters stationed there who was very proud of their workplace and kept it spick and span. These days most of these small stations are abandoned with very little other than a sign, some signals and an abandoned, often ruined, building. 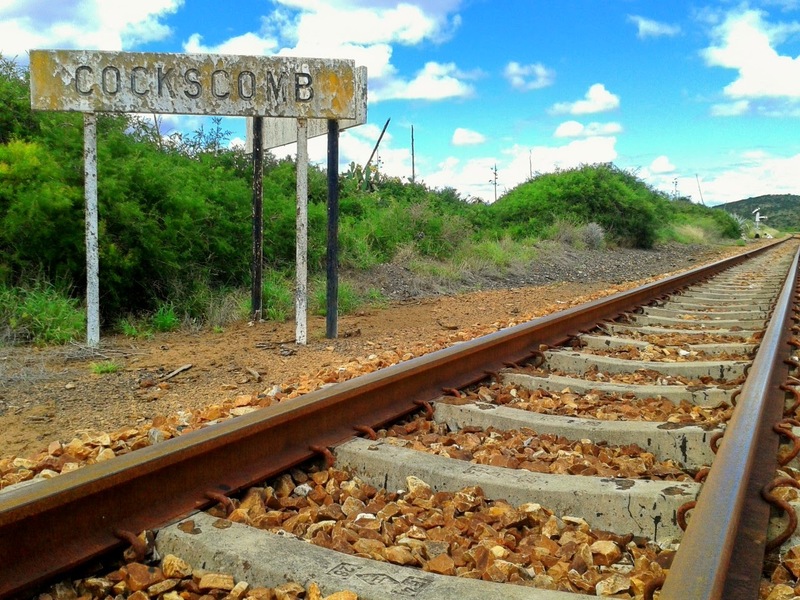 Driving up to Graaff-Reinet on the R74 from Port Elizabeth I made a quick stop at Cockscomb Station to find a Geocache and just had to snap a couple of pictures. If it wasn't for Geocaching I would probably never have stopped here and I was better for it. The last few weeks have been a challenge. It wasn't just my car being stolen with my backpack and everything in it which was locked in the boot. It was also the fact that my backpack contained my camera which meant that I haven't been able to take photos lately except for a few pics with my phone. 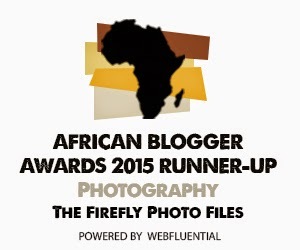 It also means that my blogging hasn't been as frequent as it should be as I have been without any pictures to blog. Last Sunday I had to drive up to the Karoo town of Graaff-Reinet for a Monday meeting and to avoid coming back empty handed I snapped a bunch of pics with my trusty Samsung. 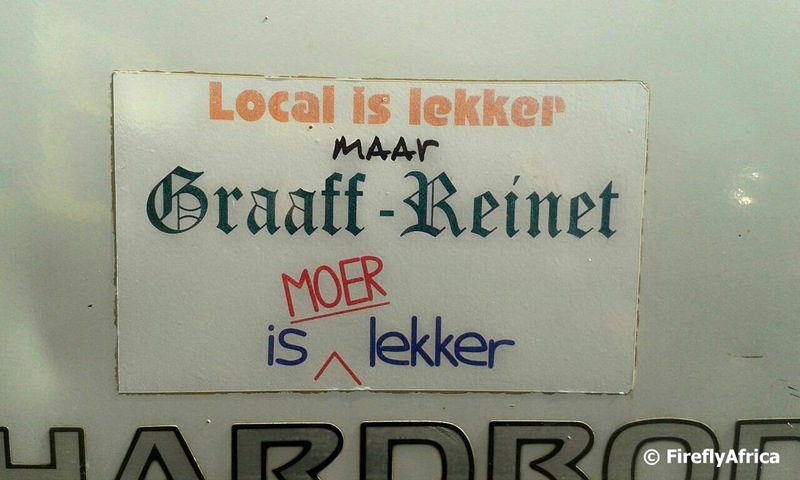 I love Graaff-Reinet. It's one of my favorite towns and I never mind spending a bit of time there. One of the other people who were there for the meeting saw this sticker on the back of a bakkie in town and snapped a pic which they sent to me. I think it says it all. Kuzuko Lodge in the Greater Addo Elephant National Park is one of my favorite lodges to visit. Because its on the Karoo side of the Zuurberg mountains the animal sightings may be slightly less than on the coastal side, but I have had some magnificent encounters and combined with their lodge and service it has been a recommendable experience every time. 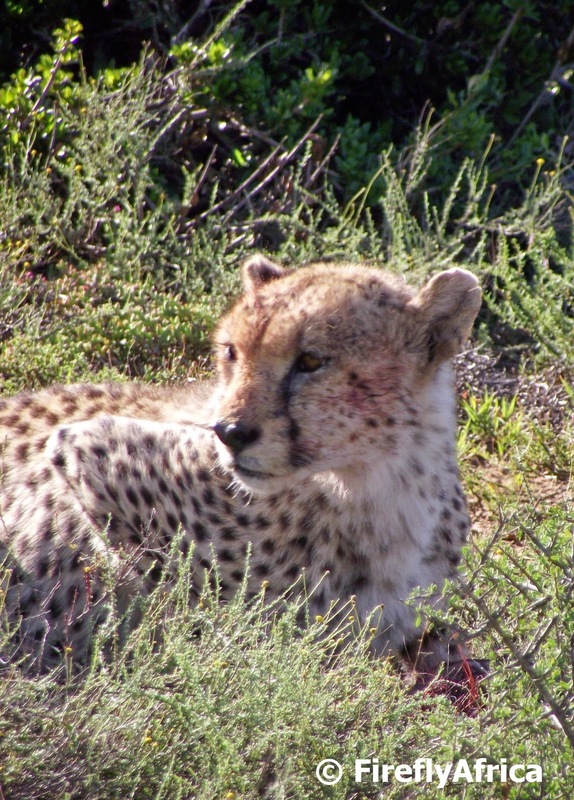 A Karoo Heartland Marketing Association meeting brought me back to Kuzuku and during my stay I got to do one of their activities I haven't been able to do before, their cheetah experience. As our luck would have it we found the two cheetahs right next to the fence on a kill so we quickly hopped off the vehicle and approached on foot to a safe distance. Well, safe is perhaps not the right word. Let's rather say a comfortable distance for the cheetah. 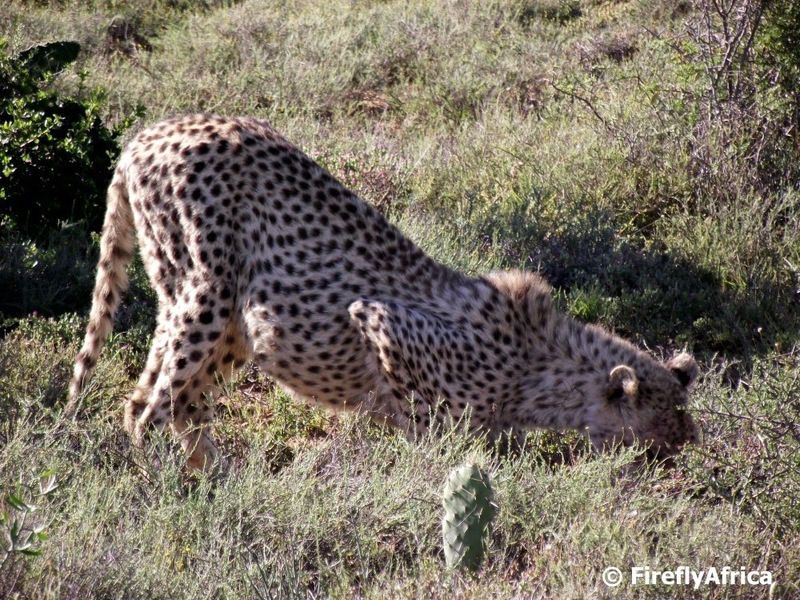 Kuzuko's cheetah aren't tame but they have learnt to tolerate the presence of humans and allow visitors to get fairly close to them without entering their space. Our ranger kept us behind him at all times and you could see he had an eye on them constantly just in case. Seeing them this close while on foot is so much better than sitting on a game drive vehicle or looking at them through a fence. The lifted their heads for a look at us once or twice but otherwise didn't even bother about us. 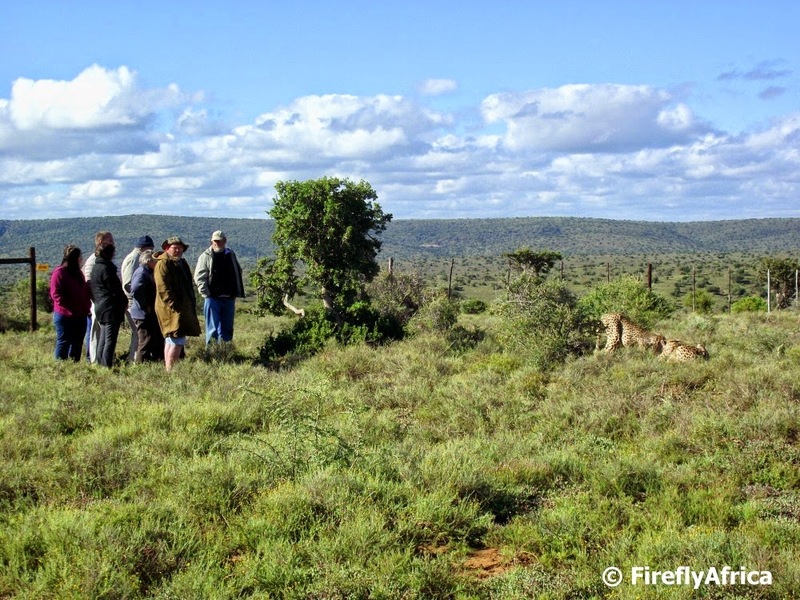 Kuzuko may charge an additional fee for this activity which goes towards the Kuzuko Foundation to assist funding their Wildlife Rehabilitation efforts, assisting them in their endeavours to preserve Africa’s wildlife legacy. Disclosure: I stayed at the reserve as guest of Karoo Heartland and Kuzuko Lodge. I received no further remuneration and keep full editorial control over the post. The South African coastline stretches over 2500 km (give or take a couple of km) from the desert border with Namibia to the subtropical border with Mozambique. I say give or take a couple of km as I have seen exact distances given of between 2798 km and 3751 km. Whichever it is, its a heck of a piece of coastline varying between long sandy stretches, rugged inaccessible areas, rural and uninhabited beaches and developed pieces in populated areas. This all means that there are big parts of our coastline that most of us will probably never get to see. Closer to home, Port Elizabeth has over 40 kilometers of beaches. Beaches, not coastline. This means that I haven't even seen the whole of my home town's coastline. I recently got to tick off another piece of that from my list when I visited Lauries Bay on the Wildside near Kini Bay and Seaview. 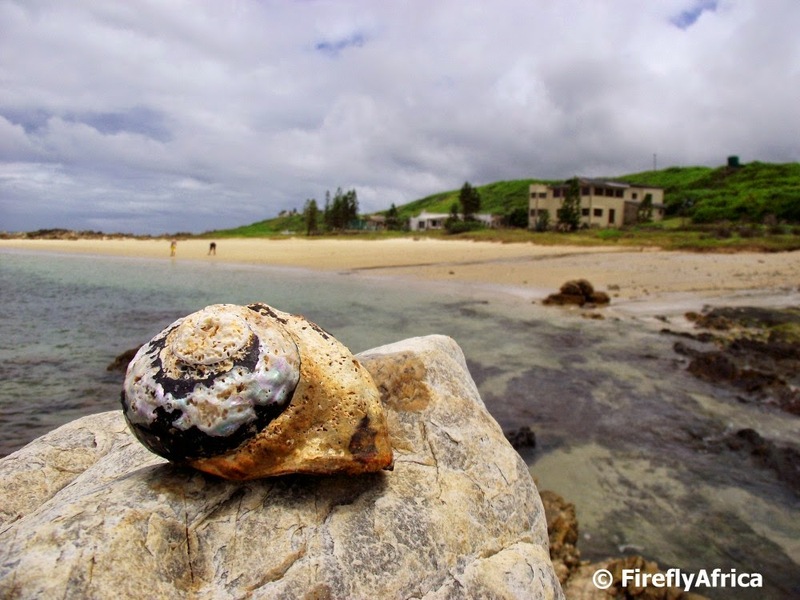 Lauries Bay is a group of "shacks" (as their owners call them) located on private land. The only way to get there is if you know somebody who has a "shack" there and they open the gate for you - which was how we got to go in - or to walk along the beach from Kini Bay. 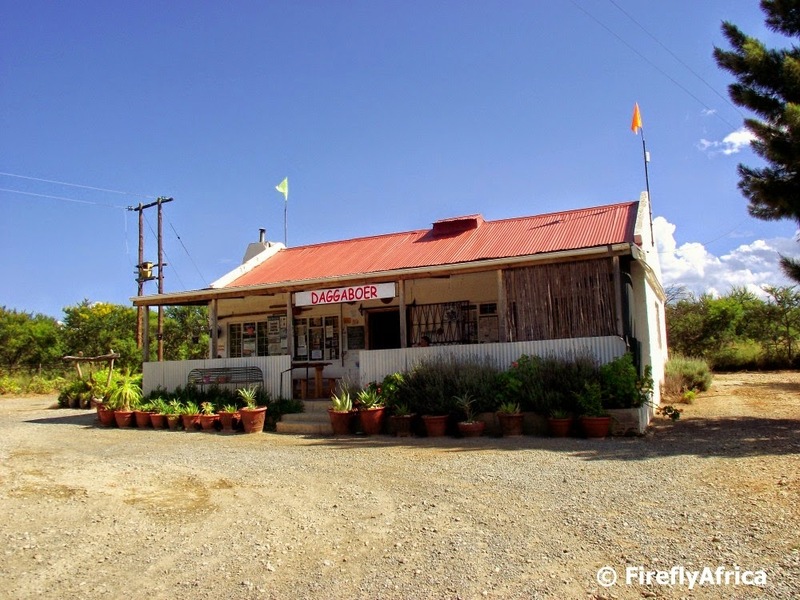 About 50 km south of Cradock on the way to Port Elizabeth and the cool breeze of the coast, is one of the Karoo Heartland's most popular farmstalls. Daggaboer Farmstall is one of those "you just have to stop and try their goodies" spots and was voted the WEG & GO! 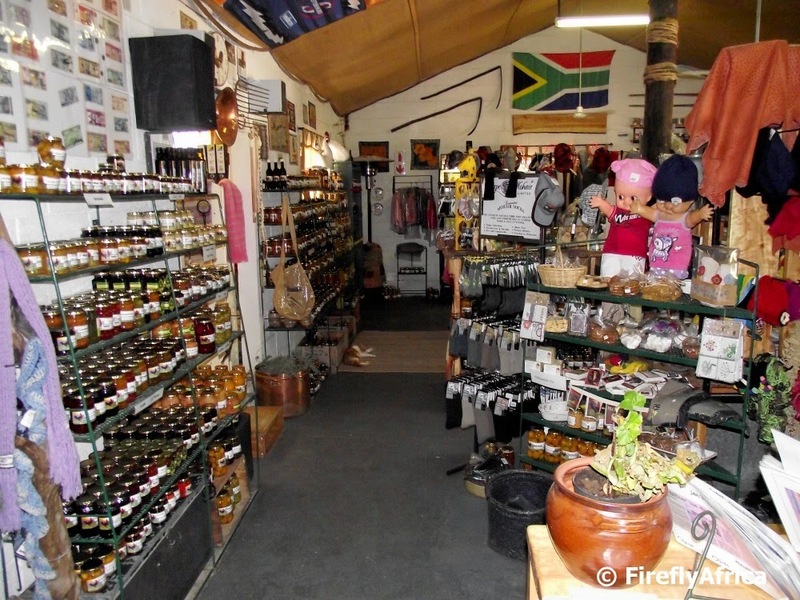 travel magazines' best farm stall in South Africa in 2011. • Famous Kokskraal jewelry & other quality gifts. I know all of that is a mouth full (literally and figuratively) and I can't vouch for all their products, but I have to say that the last time I passed there the temperature was flirting with the early 40's C and their chilled home made gingerbeer and lemonade both went down very very well.